My bookshelves are piled high with brand new books, fiction and non-fiction, so much so that I really truly do not need to buy a book again until mid 2020. However, that doesn’t mean I cannot borrow books? Right? Two days after I vowed to read my huge medicine TBR list, I just happened to walk out of my local library with ‘The Way of All Flesh’, the BRAND NEW debut novel by Ambrose Parry, a pseudonym for husband and wife duo Chris Brookmyre and Marisa Haetzman. To be honest with you, all it took was two phrases, new anaesthesia and 19th century medicine to change my mind. Edinburgh, 1847. Will Raven starts his apprenticeship with Dr Simpson, a renowned surgeon specialising in midwifery and obstetrics. He soon gets pulled into not only the world of midwifery, but Simpson’s quest to find a reliable and safe form of anaesthesia. However, Raven, along with housemaid Sarah also find themselves investigating the brutal murders of young women in the city. How did they die, who killed them and for what purpose? Carefully entwined within the gory and unsettling are a plethora of medical themes, all explored with both enthusiasm and historical accuracy. 19th century Edinburgh was one of Britain’s hubs of medical teaching and discovery – its prominence coincided with the emergence of the 19th century medical marketplace, which in effect offered consumers a wide variety of medical options. Therefore throughout the novel, the reader learns of the advantages and disadvantages of quackery, homeopathic and hydropathic medicine and of course, the quest for a safer and painless surgical procedure via anaesthesia. 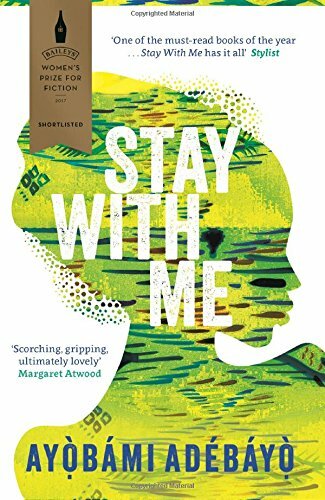 Personally, the amalgamation of all aspects of 19th century medical history in one novel focused on the advancement of medicine, pleased me most whilst reading. As medical historians, we are often taught one epoch in history per week/module – Parry’s work brought all our knowledge together into a tangible demonstration of 19th century medical life. Saying that, you do not need one jot of medical history knowledge to enjoy this novel. As Will Raven is an apprentice, the reader learns what he learns. The principles and methods of surgery, anaesthesia and midwifery are as new to Will as they are to the reader – Raven explains these principles through his experiences. These experiences can be as simple as a short conversation between Raven and Dr. Simpson, a room full of Drs trialling new forms of anaesthetic, or a live surgical procedure performed theatrically. The reader witnesses these events through the eyes of a new, fresh Dr, ready and willing to learn. If you want a good book that transports you back to the 19th century, whilst not even leaving your house, The Way of All Flesh is definitely for you. 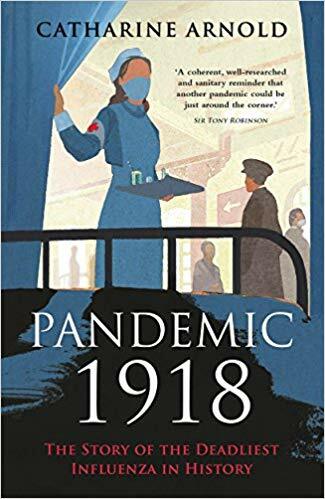 Easy to read, historically accurate and gripping until the very last page – believe me, I devoured the last 50 pages at a rate of knots due to all the twists and turns – Ambrose Parry’s debut novel showcases the best and worst of 19th century medical advancement and practice. Do you think the library will mind if I keep this forever? On loan of course! 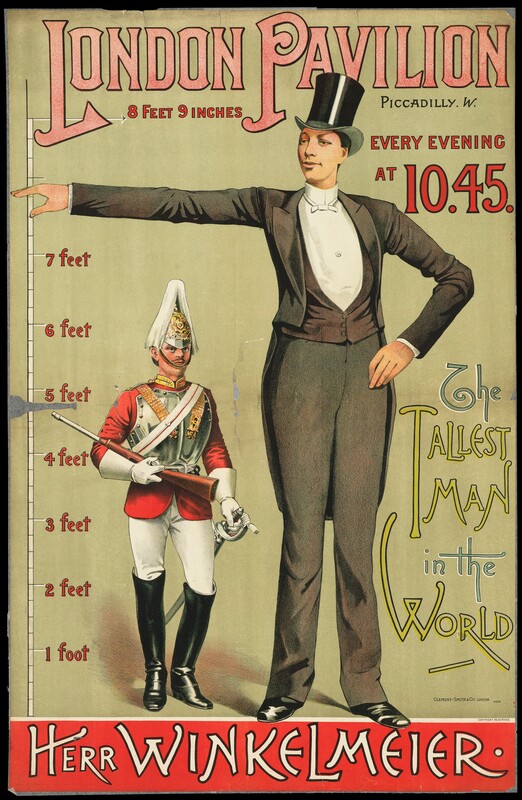 Figure 1: ‘Poster advertising the tallest man in the world, Henry Winkelmeier’, 19th century ephemera, Wellcome Collection, Wellcome Library, London, https://wellcomecollection.org/works/xsbq5aur, last accessed 9th November 2018. The eighteenth and nineteenth century saw an explosion in freak show performers and exhibitions. Anyone deemed ‘out of the ordinary’ had the potential to be displayed and exhibited, including giants. These giants performed to earn a living, yet whilst previous work by historians’ paint giants as passive performers who were exploited by entertainment managers and the medical profession both during their lives and after death, there is considerable archival material suggesting that whilst gigantism and acromegaly, (the diseases to which they owed their staggering height), did influence a giant’s decision to perform, their medical condition only had a negative impact after their death. Using the rapidly changing and highly influential medium of advertising, giants and their showmen exaggerated the height of the giant and created a celebrity persona that appealed to audiences. Austrian giant Henry Winkelmeier, (1860-1887), performed frequently at the London Pavillion. One such performance, advertised on a poster in 1887, shows him dressed in a top hat and tails, towering over a ceremonial soldier. He was also marketed as ‘The Tallest Man in the World.’ This exaggeration of height via the visual comparison of a giant and a tall soldier that symbolised the health of the nation, and a declaration that he was in fact the tallest man to exist, demonstrate that those promoting giants used advertising to aggrandise their status. In addition, creating a demand for their performances by exaggerating a giant’s height and their popularity, giants and their showmen made a profit that then gave giants the autonomy to avoid financial hardship. The Swedish giant Daniel Cajanus, (1704-1749), informed the Daily Advertiser in 1744 that he was on the brink of death, despite only having a fever. His subsequent performances were sold out- he used his illness to create a demand for his performance. Due to stunts such as this, Cajanus retired the same year, and reportedly spent 2,800 Netherland Antillean Guilders on lodgings in North Holland. Figure 2: Giantess Anna Swan’s marriage to Captain Marten van Buren, 1871′, Wood engraving, 1871, Wellcome Collection, Wellcome Library, London, https://wellcomecollection.org/works/vabbg6mx, last accessed 9th November 2018. The performances that giants and their showmen advertised so meticulously not only made money for the performer, but also reinforced middle class values to the emerging working class. Clothing, positioning, and conduct on stage reflected the separate spheres theory dominant in Georgian and Victorian society – an ideology that limited women to domestic roles in the home and child-rearing, and men to work and public duty. Giants presented their abnormal height in conjunction with Georgian and Victorian values such as the notions of femininity and masculinity, marriage and the nuclear family; the Nova Scotian giantess Anna Swan, (1846-1888) performed in traditional female Victorian dress, despite her height, whilst two giants, Mr and Mrs Patrick O’Brien performed with their son Brian O’Brien, highlighting the importance of marriage and family. The juxtaposition of the values and their height, suggested to the audience that no one was exempt from adhering to social norms. Figure 3: Giant Charles Byrne receiving guests. Etching by John Kay, 1794. Wellcome Collection, Wellcome Library, London, https://wellcomecollection.org/works/z4eyvur4, last accessed 9th November 2018. After a giant’s death, their body was monopolised by the medical profession and demanded to perform, albeit under different circumstances. Against a backdrop of teaching cadaver shortages and without the protection of the 1832 Anatomy Act, the bodies of eighteenth century giants were pursued, stolen and studied by the medical profession in search of a medical discovery. Perhaps the most famous example of this is Irish giant Charles Byrne (1761-1783). After his death he wished to be thrown into the sea to avoid dissection, yet Byrne’s friends were bribed by the physician John Hunter, who wanted his body for examination and display. After boiling his body to bones to examine the giant’s physiology, Byrne now resides in a glass case in the Hunterian museum. Previous to this, the body of giant Cornelius McGrath (1736-1760), was dissected in front of an audience at Trinity College Dublin. Therefore, whilst satisfying medical curiosity, their bodies were also displayed to the public, both at lectures and behind glass cases in museums. A close study of many eighteenth and nineteenth century giants therefore reveals a much more complex world than previously acknowledged. With the help of advertising and show fees, giants were able to live an autonomous life, whilst still enforcing middle class values on their paying, middle class audience. Yet whilst they lived autonomous lives, this autonomy was stripped from them after their death. Giants did their best to avoid dissection and display, yet many ended up in the hands of the medical profession or museum curators. ‘Herr Winkelmeier, London Pavillion, Piccadilly,’ 1887, Evanion 245, Evanion Collection, The British Library. Anon, ‘News’ The Daily Advertiser, 13th June, 1744. J. Bondeson, Freaks: The Pig Faced Lady of Manchester Square and Other Medical Marvels, (Great Britain; Tempus Publishing, 2006), pp. 145-147. *All images used under the Creative Commons License (CC BY 4.0), taken from the Wellcome Collection’s free online image library. Charles Byrne, otherwise known as the Irish Giant, died aged 22 in 1783. During his life he exhibited himself around the United Kingdom, attracting the attention of the public and the medical profession. Whilst the public, fascinated by his towering height, enjoyed his performances, the medical profession was intent on studying his body. They believed that his body held the key to understanding pituitary gigantism and were willing to procure his body by any means possible. Fast forward to 1783, Charles Byrne died at home. Knowing of the medical professions’ obsession with his body, he made arrangements prior to his death to have his body thrown into the Irish sea in a lead coffin. Medical men couldn’t possibly procure his body then, could they? Wrong! Enter John Hunter, prevalent surgeon and anatomist. He had been looking for an opportunity to study gigantism, (and complete his burgeoning private collection) – Charles Byrne’s death was his dream come true. Hunter bribed Byrne’s fisherman friends was alcohol and £500 in exchange for them delivering the body to his London residence. Once in his residence, Hunter boiled Byrne’s bones in a pot and hid them for three years in order to avoid suspicion. Byrne’s bones have been on display at the Hunterian since its opening in 1800, yet its current refurbishment closures have reignited calls for Byrne’s bones to be buried in the Irish Sea. I fully support this campaign, and my reasons for this are two-fold. 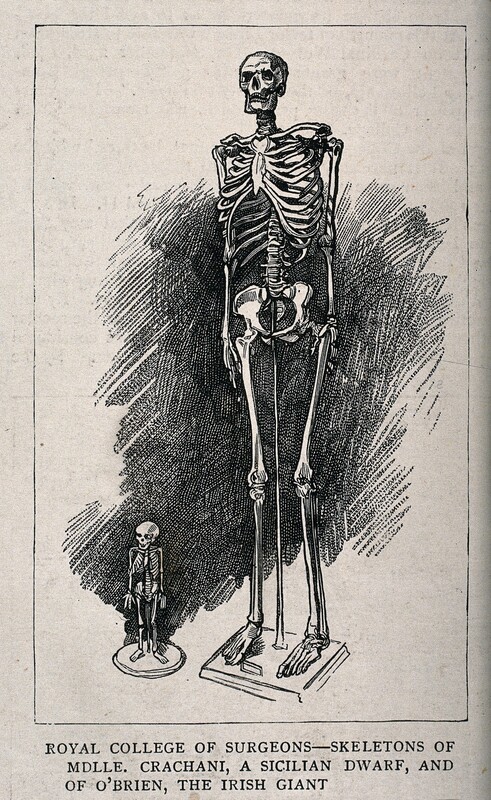 The study of giant’s bones, including Byrne’s, has led to the discovery of the causes of gigantism. Neurosurgeon Harvey Cushing examined Byrne’s skeleton in 1909, and determined that he had died due to a pituitary adenoma – brain tumour. Since this research, pituitary gigantism has been identified as a medical condition and has aided the diagnosis and treatment of the condition. Byrne’s body is no longer needed for medical research. Today it is simply a museum exhibit – performing just as Byrne did when he was alive. As Byrne’s personal correspondence is not available to historians saved, we cannot be 100% sure that he expressed these wishes in the above way. Yet it is clear from the actions of his friends – they did throw a coffin into the Irish Sea, (albeit without Byrne’s body) – that he wanted to save his body from dissection. As campaigners are suggesting, now is the perfect time for the Hunterian to review its accession and display of Charles Byrne. Byrne’s body no longer needs to be displayed or studied. It is time to acknowledge and act upon his last wishes. J. Bondeson, A Cabinet of Medical Curiosities, (Itacha; Cornell University Press, 1977), pp. 196-7. L. Bradley and P. J. Morrison, ‘Giants of the British Isles’, Ulster Medical Journal, 80:1, (2011), p. 31. Anon, ‘Charles Byrne Obituary’, Gentleman’s Magazine, 1st June 1783, p. 514, taken from W. Moore, The Knife Man, The Extraordinary Life and Times of John Hunter, Father of Modern Surgery, (London; Bantam Press, 2005), p. 314. Owing to relatively good health, the extent of my hospital visits begin and end at the phlebotomy department. Often quick visits, there is no time to study my environment. Yet the layout of hospitals sparked debate in the nineteenth century, so much so that during the latter half of the century, hospital environments changed dramatically. Reflecting on her life as a nurse, Florence Nightingale argued that the ‘wise and humane management of the patient is the best safeguard against infection. In her book Notes on Hospitals, published in 1863, Nightingale applied this theory to hospital construction and layout, calling for all hospitals to provide fresh air, light, ample space and the subdivision of patients into wards and pavilions – this would prevent the spread of disease in hospitals. Yet this perfect image of the hospital was not carried forward completely by planners. Very few hospitals followed all of Nightingale’s recommendations; the realities of existing hospital buildings and their functions meant that most, but not all, of Nightingales’ recommendations were implemented in every hospital. Most hospitals adopted pavilion style wards, in which beds were positioned in long, low ceilings wards, with ample windows to allow for good air circulation. The 1893 plans of Kings College and St Bartholomew’s hospitals show pavilion wards containing no more than 32 beds, just as Nightingale proposed. Windows were also placed above every bed, giving direct access to fresh air and sunlight. Both hospitals also ensured that each ward was paired with both a scullery and a nurses room, in order to ensure good patient care both day and night. Interestingly, both Kings and St Bartholomew’s were built before Notes on Hospitals was published. Similarly, the 1865 plans of East Sussex and St Leonards hospital show circular ward rooms each with 12 beds and ample light. As the hospital did not move from its site in White Rock Road, Hastings until 1911, the wards could not emulate the traditional pavilion style. The adaptation of established hospitals therefore highlights the flexibility of Nightingale’s recommendations; pavilion wards with good ventilation and around the clock care could be provided in most hospitals. Other recommendations were harder to follow. Operating theatres were very rarely placed between wards, but more towards the back of the hospital. This is the case with both Kings College and St Bartholemew’s. It could be argued that the two hospitals status’ as teaching hospitals had an impact on operating theatre placement; the operations were performed close to student labs and teaching facilities. In contrast, the operating theatre at Swansea General Hospital was placed directly between the wards. This placement is further evidence to suggest that Nightingale’s recommendations were adapted to suit existing hospital buildings; a hospital’s function, whether it provide teaching facilities or simply healthcare, had an impact on the placement of facilities. Rather than being seen as rigid recommendations, Nightingale’s guidelines were adapted to a hospital’s individual needs. Notes on Hospitals became a vital nineteenth century tool that influenced every British hospital to some degree; the realities of hospital layout and functions dictated to what extent. F. Nightingale, Notes on Nursing: What it is and what it is not, (Philadelphia: J.B.Lippricott Company, 1992), p. 20. F. Nightingale, Notes on Hospitals, (London: Longman, Green, Longman, Roberts and Green, 1863), p. 26. ‘Plan of St Bartholomew’s hospital London, 1893’ and ‘Plan of Kings’ College London hospital, 1893’, in H. C. Burdett, Hospitals and asylums of the world, (London: J & A. Churchill, 1891-1893), Portfolio of Plans, pages unknown, WX100 1891-B95h Vol. 1, The Wellcome Collection, The Wellcome Library, London. ‘Plan of E. Sussex, Hasting and St. Leonard’s Hospital’, in H.C. Burdett, Hospitals and asylums of the world, Portfolio of Plans, page unknown. ‘Plan of St Bartholomew’s hospital London, 1893’ and ‘Plan of Kings’ College London hospital, 1893’, in H.C. Burdett, Hospitals and asylums of the world, Portfolio of Plans, page unknown. ‘Building plan of Swansea Hospital, 1893’, in H.C. Burdett, Hospitals and asylums of the world, Portfolio of Plans, page unknown.